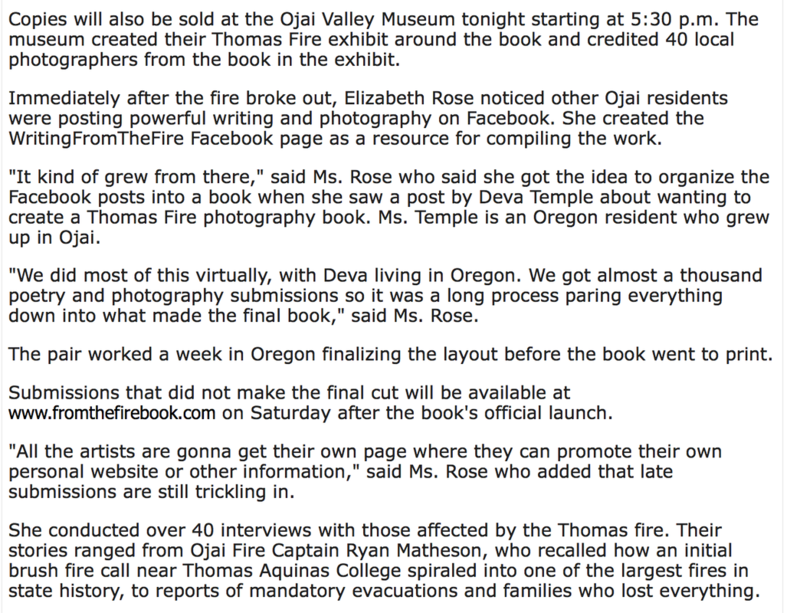 Local Artists Give Back On Thomas Fire Anniversary: An interview with Alex Biston of Channel 3 News. 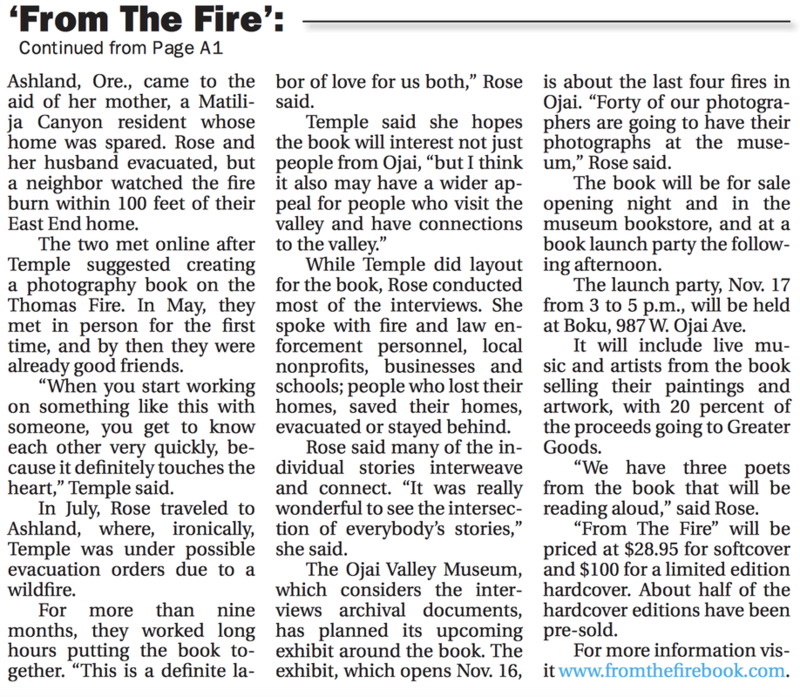 KCLU interview: At One Year Anniversary of Massive Thomas Fire, New Book Looks At Blaze Through Eyes Of Community. 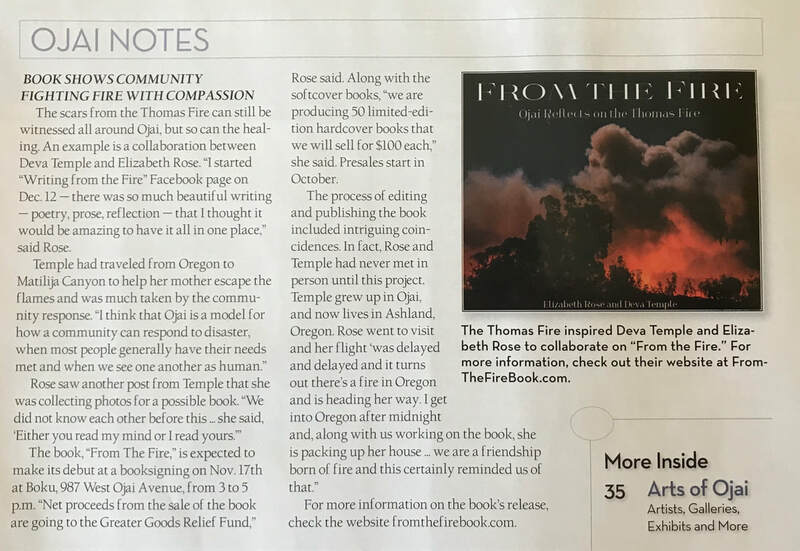 A new compilation of stories, From the Fire, looks at the blaze thru the eyes of one community, while aiding in ongoing relief efforts. 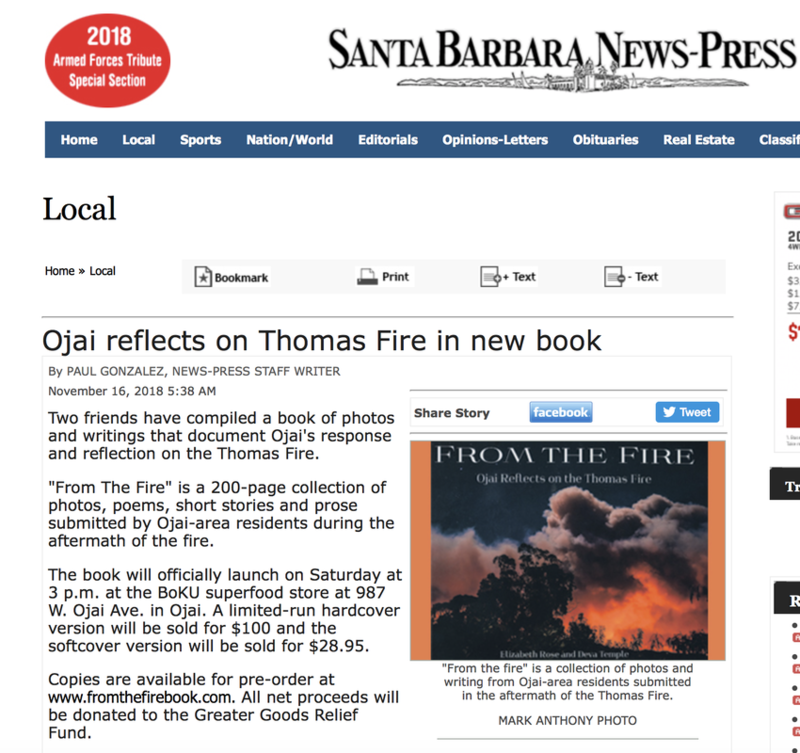 KCRW interview: One Year Later, Ojai Reflects on the Thomas Fire in a new book. It’s been nearly one year since the Thomas Fire broke out. 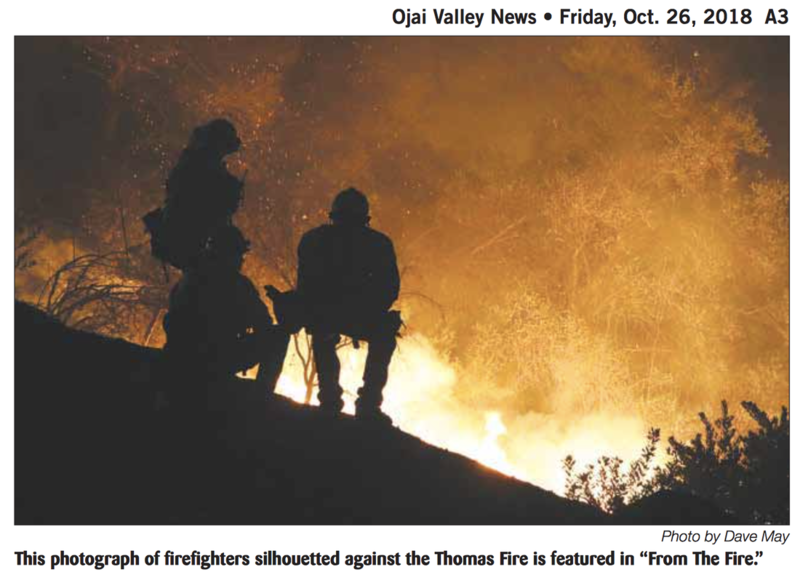 Ojai was hit particularly hard. The fire nearly encircled the small city and burned more than 100 homes. In its aftermath, there were incredible stories of heroism, loss, and rebuilding. 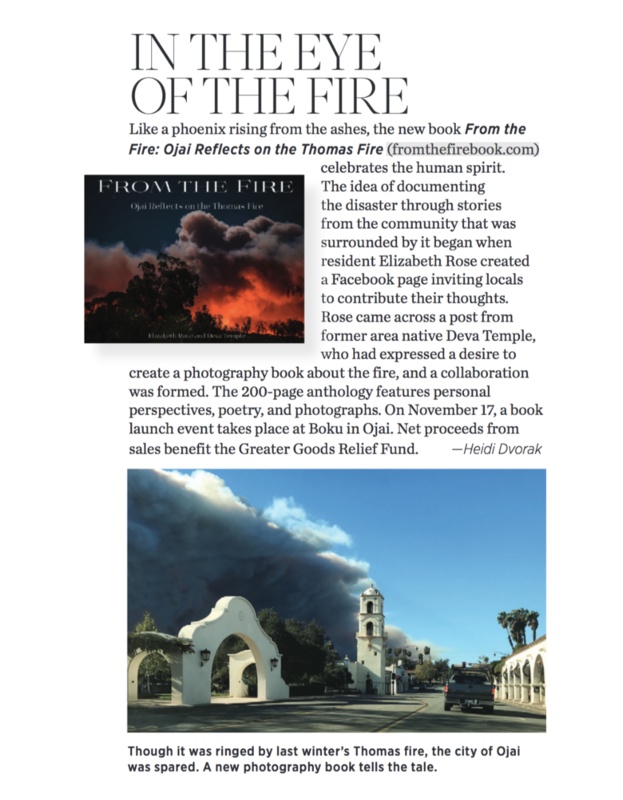 Those stories -- along with dozens of powerful photos -- have been compiled into a new book called “From the Fire: Ojai Reflects on the Thomas Fire.” Host: Jonathan Bastian, Producer: Kathryn Barnes. 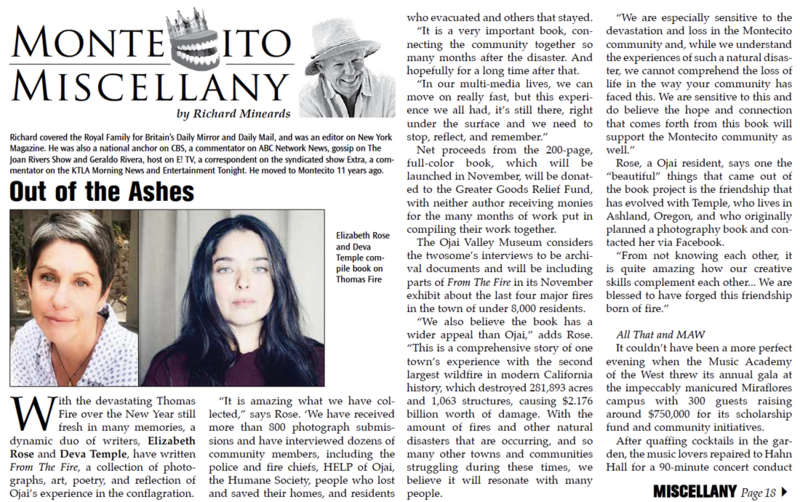 Read the full article here: FROM THE FIRE | Art rises anew around the county in the aftermath of tragedy. 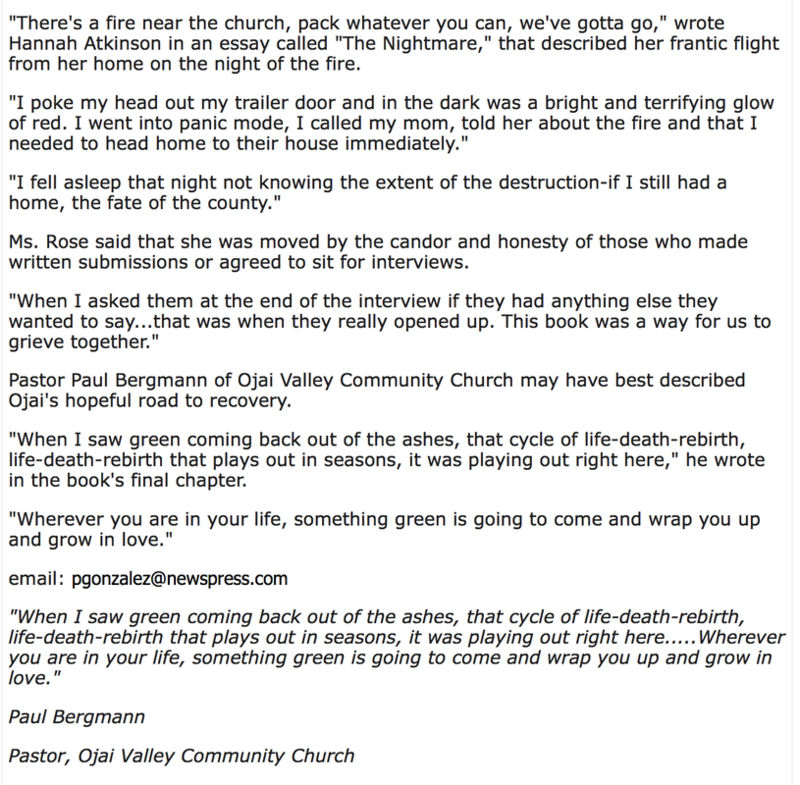 Article: ​In California, One Community Reflects on a Fire as Others Still Burn. 805Living Magazine. Cover Photo by Mark Anthony, featured photo by Jasmine Williams.